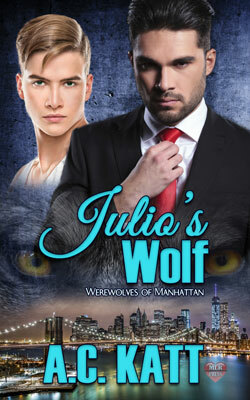 Can an independent, stubborn human beta make room in his life and heart for a hard-headed Alpha? “Julio, don’t you want to go out on the boat to fish with Dad and me?” His mom slapped mayo on a tuna salad sandwich and packed it in the cooler. He rolled his eyes. Julio knew his mother was trying to use guilt so he would go fishing with them. “I’ve spent time with you and Dad for the whole week of spring break. Why do I have to go today? I’ll see Dad tonight when he comes home and every night after that. His mother continued to make sandwiches. She wiped her hands on a kitchen towel. “Does Richard’s mother know you’re coming?” she asked over her shoulder as she put a container of her homemade potato salad into the cooler with the sandwiches. “Yes, she’s making lunch.” He ran over to the counter. “Okay, dear.” Julio gave his mother a kiss and a hug and ran out to the garage. His father smiled. “I can’t say I’m not disappointed, but I know I can’t compete against Tomb Raider.” His father was straightening the tackle and packing the fi shing rods in the rear of the Highlander. Julio kissed his dad and jogged around the corner to Richard’s. Richard Kerrigan was Julio’s best friend and the only other gay kid in their school. Naturally, they had gravitated toward one another. Julio and Richard were best buddies. Once, they tried to kiss but they decided that they weren’t that kind of friends. Richard was moving from Oswego to Chicago in two weeks. Julio would lose his best friend. It was the most traumatic event in his young life and made his stomach hurt. After Richard left, Richard promised to call and e-mail. They might connect for a while, but their own lives would get in the way, and their long-distance friendship would disappear. Julio shrugged—What is, is was his motto. But he’d miss Richard. It was going to be lonely being the only gay kid at school. A lot of bullying might come his way. “No, Mrs. Kerrigan, PB&J is fi ne. I want to see Richard. We don’t have much time left.” She swept her hand over her forehead again, to brush her red bangs out of her eyes. “We’ll have you out to Chicago, and Richard can come back tovisit.” She kept glancing at the boxes in the kitchen. She didn’t have time to talk to him. “In the den. I’ll make sandwiches at noon. Julio walked down the stairs to the lower floor of the split- level. Richard remained focused on the TV screen, playing Tomb Raider. “It’s nicer eating at a table. 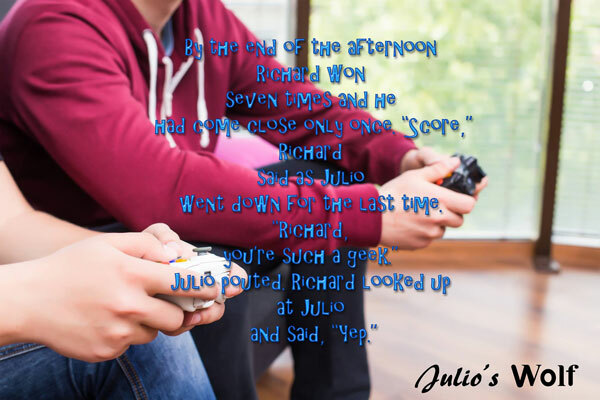 And this way you don’t spill milk on the game controller.” Julio teased Richard about last year’s mishap. By the end of the afternoon Richard won seven times and he had come close only once. “Score,” Richard said as Julio went down for the last time. “Richard, you’re such a geek.” Julio pouted. At four o’clock, Richard’s mother came downstairs and asked Julio, “Could you wait for your mom out on the step? I have to pick up Richard’s dad from work and then we’re going out to dinner. “No problem, Mrs. Kerrigan, my parents will be here any minute. Julio walked halfway up the stairs and turned shouting down to the den, “See you tomorrow, Richard.” There was no answer. Richard was immersed in the game. Officer Joe Pennetta told his partner, Mike Dolan. “Yeah. I spoke to the neighbors when we stopped at their house after we tried to make the notifi cation. was to notify the survivor and bring the kid in, that was it. But he hated the looks on the people’s faces when he had to break the news. Pennetta and Dolan pulled up to Number Twenty-two Clover Street. A kid sat on the step, crying. The offi cers got out of their vehicle and walked toward the concrete steps that led to the house. Had someone else told him about his folks? “Why are you crying?” Dolan wasn’t the most sensitive of men. “My parents said they’d come for me at four. The Kerrigans had to leave. I think my parents are mad at me because I didn’t want to go fishing today.” Julio wiped his nose with a tissue. “Why? All I did was ask them not to take me fishing. They couldn’t leave me because of that. I kissed them both good-bye. They didn’t look angry.” Tears poured down Julio’s cheeks. The kid panicked and now he was about to deliver the killing blow. “They drowned in Lake Ontario in the wake of a fishing trawler. We sent pers down, but we couldn’t recover the bodies. Do you have anyone you can stay with?” Dolan asked. “Calm down, kid. There’s nothing you could have done. They’re gone. You have to deal.” Dolan turned toward the squad car. to do next. It won’t be too bad.” They walked to the squad car, Julio trailing behind them. Dolan muttered, “At least I didn’t lie to him. Fulton is going to be awful for a kid like that.” Julio sobbed behind them. Pennetta elbowed Dolan. “Give the kid a break. At least let him grieve before he knows what’s in store for him.” He shook his head. “Can I at least pack a bag?” Julio asked amidst his sobs. 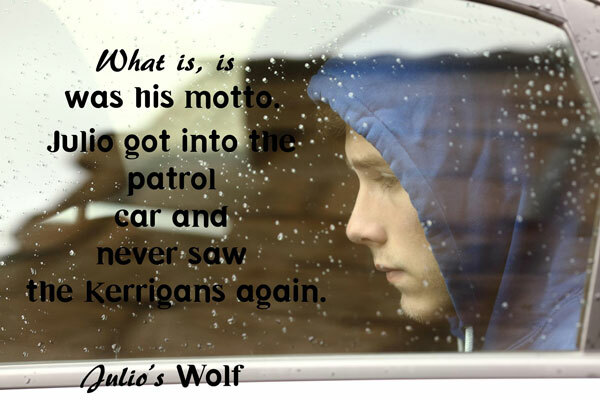 Julio got into the patrol car and never saw the Kerrigans again. By the time they held a service for his mom and dad, Richard was in Chicago with his parents, and he was in a home where the boys referred to him as fresh meat. Had the Kerrigans known where they took him? If so, Richard would have at least called. With both his parents and Richard gone, he had no one. AC Katt: AC didn’t discover her muse until she was older. She loves to write and now writes constantly. She just moved from New Mexico back to New Jersey with her husband and her naughty cat Bandit, who lives up to his name.